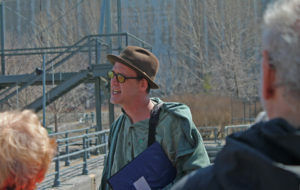 OTL Blog » Blog Archive » Montreal Irish Walking Tour is Back to Complement Annual Walk to the Stone! Montreal Irish Walking Tour is Back to Complement Annual Walk to the Stone! The Montreal Irish Walking Tour is back, just in time to complement this year’s annual “Walk to the Stone”! 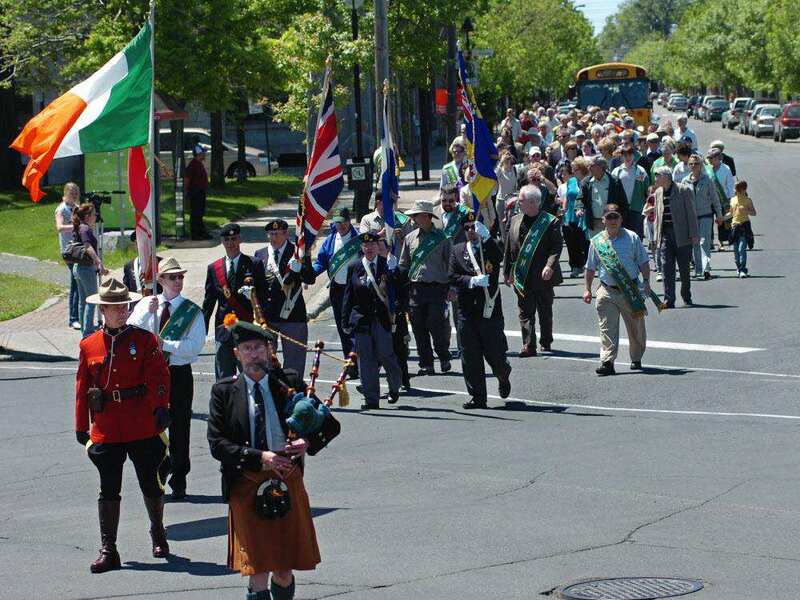 For over 150 years, the Ancient Order of Hibernians (AOH) has been leading this pilgrimage to the Irish Stone at the foot of the Victoria Bridge, the site of Montreal’s Irish Famine Cemetery where approximately 6,000 typhus victims were buried in mass graves in 1847. Traditionally held on the last Sunday in May, the 2016 the “Walk to the Stone” will take place on May 29 at around noon, starting at St. Gabriel’s Church in Point Saint Charles (2157 Centre Street) following a special service. Everyone is welcome to attend and catering is being provided by Paul Quinn of the Irish Embassy Pub. To add context to the annual pilgrimage, the Montreal Irish Walking Tour will be conducted one day before the traditional “Walk to the Stone”. 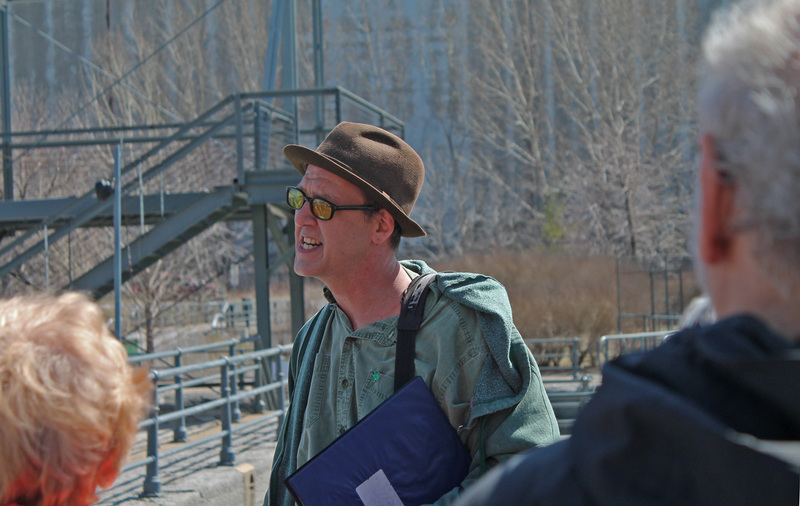 Created by professional actor and historian Donovan King, the Montreal Irish Walking Tour sold out during the 2016 Blue Metropolis Festival, where it was done on behalf of the Montreal Irish Monument Park Foundation and Montreal Bloomsday Festival. 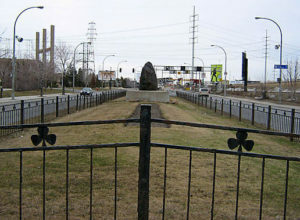 King is also a Director with the Montreal Irish Monument Park Foundation, an organization dedicated to creating a cultural memorial park on the site of the Famine Cemetery, presently located in an unsightly industrial zone. The walking tour provides a history lesson into the Irish experience in Montreal over the centuries, and features famous Irish Montrealers such as Tec Aubry, Joe Beef, Bernard Devlin, Mary Gallagher, Brian Mulroney and current Mayor, Denis Coderre. It also focuses specifically on the plight of the Famine refugees who arrived in 1847, destitute and typhus-stricken, and how the city reacted to them. 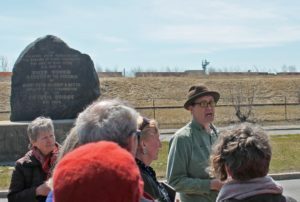 Exploring what is perhaps the darkest chapter in Montreal’s history, the walking tour delves into some very disturbing facts about the impact of the Irish Famine in Montreal, but also highlights the compassion of the many Montrealers who put themselves at great risk to care for the sick and dying refugees. 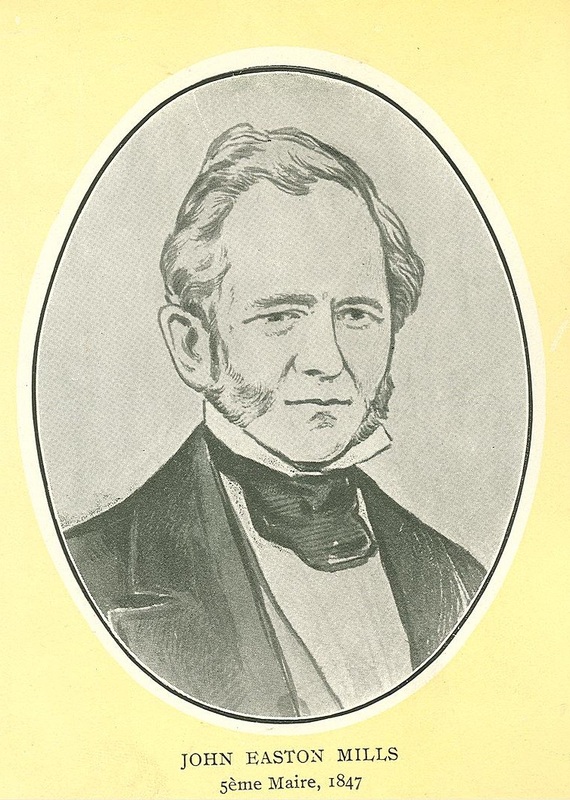 Mayor John Easton Mills might be the best example. 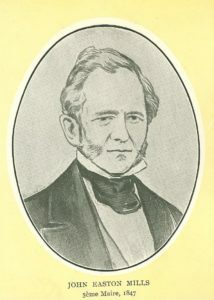 Mayor Mills personally cared for the refugees in the fever sheds, caught typhus and perished in the course of his duties. Guests will walk in the footsteps of the Irish Famine refugees of 1847 and learn about their plight, resilience and subsequent remarkable accomplishments. All proceeds from the Montreal Irish Walking Tour go directly to the Montreal Irish Monument Park Foundation. 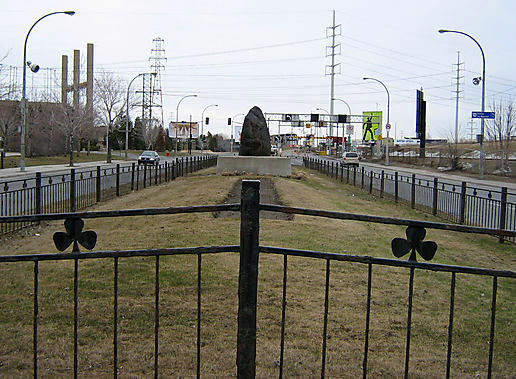 WHEN: Saturday, May 28, 2016 at 10:30 a.m.
For more information about the Irish Famine’s impact in Montreal, please read this academic paper about the Montreal Irish community’s struggle to protect their cemetery. This entry was posted on Wednesday, May 11th, 2016 at 7:50 am	and is filed under Uncategorized. You can follow any responses to this entry through the RSS 2.0 feed. You can leave a response, or trackback from your own site.